On this day, you should not hesitate to build upon the embodiment of brilliant and bold ideas. 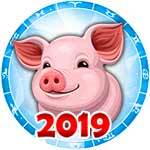 This Thursday promises to open several closed doors at once - leading to a brighter future. Become more active in setting yourself up for success, and then take a step towards your dream. It is recommended to work closely with others as it will bring success. Alternate your load from time to time to give yourself the right to rest. Meditation or yoga will aid you in dealing with fatigue. .
Aries, on this day, you should be looking for new ideas in creativity or business. It is very possible that today will be incredibly enlightening for you. In addition, certain doors that you have been knocking on for a long time will be suddenly be opened. With regard to well-being and mood, these parameters are most likely to disappointing. As you come to the close of the day, you can be most pleased to relax in a passive activity. It will also be beneficial to find time to communicate with loved ones. 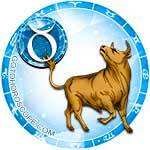 Some Taurus today will want to see a change in their lives. Before you rush into battle, you should thoroughly weigh the consequences of each step. It is not recommended to break what has already been built over several years. Sharp movements are not recommended in the field of finance. It is likely that someone will offer a tempting, but a very adventurous project for you to participate in. Even if he promises instant enrichment, exercise caution. The sphere of deeply emotional feelings on this day is unlikely to require much attention. 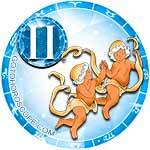 Many Gemini on February 7 will be busy with resolving bureaucratic issues. There is a chance to successfully finalize important documents, obtain allowances from legal authorities, or become free of long-standing difficulties with the rule of the law. Today, do not experiment or stretch your boundaries in the field of emotions. Wait for honest and open conversations, and do not rush to start a love affair or put an end to existing relationships. 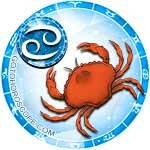 Cancers, this day can bring you a little trouble with emotions. There is a possibility that recent experiences will provoke negative symptoms of illness or existing chronic illness will worsen. One way or another, you should not refuse the help of a medical specialist. Thursday may bring an average amount of success in professional affairs (provided that the strength goes to work remains). In general, it is recommended to spend this day slowly, reducing any kinds of loads of stress or fatigue. Leo, on this day, are not recommended to take the initiative in any personal matters. It is advisable to remain in the shadows when a family discussion or meeting at the workplace takes place. Otherwise, today's events promise to evolve exactly as planned. There is a chance to find success in everything that is connected to friendships and emotional pleasantries. If there is a particularly difficult topic that needs to be discussed, you should not be afraid by its resulting outcome. Also, it will be particularly useful to participate in proper diet and exercise. 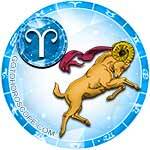 Many Virgos on this day will have the desire to draw attention to themselves. There is a risk that the thirst for publicity will provoke some kind of conflict, or it will be perceived by others quite biased and self-centered. This Thursday is suitable for you to engage in creative work, experiments in interpersonal relationships, and small business purchases. 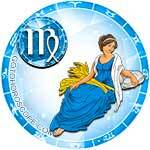 There is a possibility that you will receive encouraging news related either to finances or a new job. 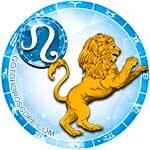 Libras have a good chance to spend this day productively. For this to happen, all you should do is listen to the advice of friends and do as intuition suggests. Some events of this day can trigger a slight emotional imbalance. You should not look for a deeper understanding of what is happening to you internally. Observe the situation loosely and focus on remaining calm. You have a good chance of making new acquaintances and friends! Those who are single should spice up their outfit when going out of the house. 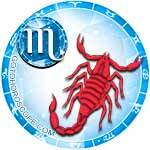 Scorpios today may have a tendency to be insecure in their own abilities. There's a good chance, however, that this insecurity will not affect your normal routine of life. Be cautious, though, that if you have a public appearance or important talk scheduled for today, you should quickly make every effort to build your self-esteem. On the whole, Thursday has every chance to swing on the upside(especially to those who are in search of love and romance). Scorpios in family relationships should pay a great deal of attention to their spouse. 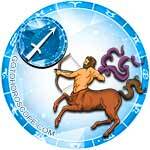 For many Sagittarius, this day will pass with almost no exciting highlights. In all likeliness, the most noteworthy occurrences of the day will be a few friendly meetings, communication with a distant family member, or a flirtatious exchange with a fellow coworker. In the evening, an unpleasant memory may come to mind. There is also a possibility of a family quarrel that will lead to sadness. 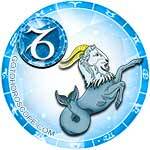 Capricorns on February 7 should carefully select their words and conversations with others. There is a risk of offending someone with inappropriate jokes, stinging remarks, or cynicism. The afternoon increases the likelihood of an unexpected change in your life. Perhaps a long-time enemy will suddenly become a friend, an old debtor will reappear, or a previous relationship will ask you to return everything back to them. Minor difficulties in finance or with a business partner are also a possibility. 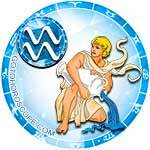 For Aquarius, this day promises to go smoothly and without trouble. 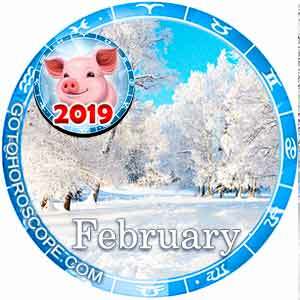 It will probably be slow and leaving you wanting for many things; but within a day you will see a noticeable result in professional affairs, personal health, and disagreements with your close relatives. Don't be in a rush when making decisions related to finances. There is a risk that all the undertakings of this day will bring unpredictable results Don't be surprised, either, if you see a lot of unpredictable results from different activities throughout the day (they can be either bad or good). 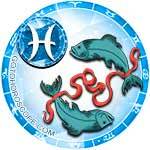 Pisces will show signs of illogical behavior throughout today. There is a chance that you will get lost in a maze of your own hopes and fantasies. 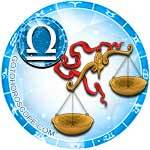 As a result, it will be difficult to perceive today's occurrences objectively. Therefore, it would benefit you to exercise caution if you are dealing with important business opportunities (job search, interview, expensive purchases, or other important meetings). It is not recommended to spend a long time behind the wheel, engage in active sports, or something excessively time-consuming.